This week, Supply Chain Matters Executive Editor Bob Ferrari once again attended the Oracle OpenWorld 2018 held in San Francisco. In our prior Dispatch One commentary, Bob highlighted impressions of Day One including Larry Ellison’s first keynote. The Dispatch Two commentary highlighted and shared observations relative to Oracle’s product announcement related to Blockchain technology. Our Dispatch Three commentary reflected on the deployment of both Internet of Things and Blockchain technologies in supply chain management process areas and what makes Oracle’s approach different. Our Dispatch Four commentary focus on Larry Ellison’s second keynote which was solely dedicated to the Oracle Fusion Application suites that sit on the enterprise tech providers underlying Gen2 Cloud database, analytics and infrastructure. In our Dispatch Five update, Bob highlighted what he expressed as one of the most profound panel discussions he has witnessed as a supply chain management industry and technology analyst which addressed the ongoing cybersecurity threat. In this our conference summary blog commentary, Bob distills all of this year’s messaging and themes along with added insights. OpenWorld 2018 was about the continued development and maturation of Oracle Cloud capabilities in infrastructure, database and Fusion Applications and this year’s introduction of the Gen 2 OCI Cloud Infrastructure which applies advanced concepts of artificial intelligence and machine-learning to broader areas of the technology stack. This next generation has emphasis on two key capabilities that CTO Larry Ellison argued are critical for businesses: Broader autonomous capabilities in database, transactional and computing infrastructure that adds to Oracle’s vision of hardware and software re-configured for the Cloud. The second, and more sobering component, that being data and information security, and a recognition that bad actors are increasingly far more sophisticated in their cyber-attacks. The argument is that no single business can hire enough cyber experts to protect itself from attacks, and thus place your trust in Oracle which is now developing a top-to-bottom Cloud computing architecture that features separate Cloud control clusters continuously monitoring and protecting customer information. This analyst sensed both an intent to be an aggressive competitor in the Enterprise Cloud platform and software applications marketplace but with a renewed emphasis to compete on better information security protections, more robust applications, more flexible and simpler paths to the Cloud with more user-friendly and productive systems, all at a lower overall cost. Yes, ladies and gents, lower cost may not have been the operative impression of Oracle in the past, but the strategy appears to now be changing and the intent to aggressively compete is clearer. This Net Change is the belief by Oracle that its products now have a compelling value proposition for IT, line-of-business, Finance and other functional teams addressing their most significant needs and concerns. Concerns relate to the needs of businesses to be able to address digital transformation more readily in multiple business process areas utilizing a common information, infrastructure and analytics platform. The challenge however, is making a dent in the widening lead over the Amazon Web Services and Microsoft Azure Cloud platforms that have captured a lot of market attention as utility IT infrastructure platforms. This year’s update was applying the same AI capabilities across the Fusion Applications addressing maximum information security to automating tedious work processes and providing users more proactive insights and intelligence related to the performance of business processes in supporting required outcomes. The strategy boils down to leveraging pervasive intelligence at every layer. The execution is attempting to convince Cloud computing customers of a broader strategy with a higher return on business value. 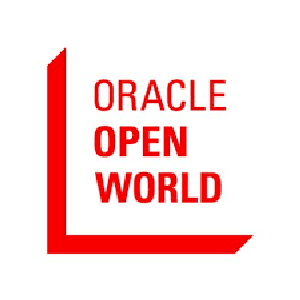 The net change of Oracle SCM Cloud was yet another increase in customer uptake, now reported as over 2500 customers from the 1200 reported at last year’s OpenWorld. Oracle is no longer shy in declaring its market leadership in availability of an end-to-end supply chain management Cloud based applications. This year’s OpenWorld contained a higher profile for SCM Cloud content and presentations along with the announcement of four new Blockchain enabled support applications which we highlighted in Dispatch Three. In prior year’s such higher profiled activities were channeled to Oracle’s separate Supply Chain Modern Experience conference venue. Thus far in 2018, there have been three quarterly update releases of SCM Cloud, functionality, each with increasingly more features. The sense we garnered from customer presentations and panel discussions is that the quarterly release process is more manageable and less disruption to ongoing supply chain operational support activities. Quarterly releases provide individual users the ability to discover more innovative methods to complete their job tasks, become more productive in day-to-day needs and begin to leverage the analytical tools for more predictive planning and customer fulfillment. Oracle communicated to attendees a broadened SCM Cloud industry focus in the 2019 development roadmap moving on from the current concentration in high tech and industrial manufacturing industry to expand coverage in Project Manufacturing, Service Logistics, Process Manufacturing and Healthcare industry specific industry supply chain support capabilities. There are specific lighthouse customers driving the functionality needs in each of these upcoming industry verticals. Oracle ERP Cloud customer adoption now exceeds 5500 customers with over half now live with various ERP components, with Oracle increasingly being recognized as the leading Cloud based ERP suite in the market. CEO Hurd indicated to analysts and press that the customer pipeline is significant, and he wished that he could share the specific numbers. Further stated was that NetSuite ERP numbers were off the charts reflecting 70 percent growth in the prior quarter. Netsuite has been able to leverage the vast back office global development resources of its new parent to increasingly add expanded global functionality and support. We will see what all of this means in ERP market growth at next year’s 2019 event. There was added emphasis and detail related to the Oracle Soar program, a service anchored in the Oracle Consulting organization that assist existing on-premise customers in their upgrade paths to the Cloud platform with automated scripts to determine program needs and best logical migration paths. The program was described as providing a fixed 20-week timeframe to upgrade to the Cloud that could save upwards of 30 percent in time and costs. It was further interesting to hear multiple Oracle executives indicate that SAP has down the market a big favor because it is motivating customers to look elsewhere. As we have noted in prior supply chain technology focused commentary, it is not just Oracle that has benefited, but multiple best-of-breed supply chain tech providers as-well. Over the coming weeks, Supply Chain Matters will be expanding more on the themes and concepts provided in this year’s OpenWorld. Our takeaway for readers is that Oracle is indeed demonstrating a laser-focused strategy that is much clearer for customers and more compelling for the IT market. In the area of supply chain management support, the clarity of strategy is clearer, and the momentum is building. Disclosure: Oracle is a client of The Ferrari Consulting and Research Group, the parent of the Supply Chain Matters blog.